The best way to discover the hidden beauty of the Amalfitan Coast is visit it again with one of its eager and distinguished admirers. This is what Giustino Fortunato, a historian, economist and above all famous expert on the problems of Southern Italy, wrote while getting ready to fulfil his long-standing and great desire to cross the Lattari Mountains. and to look down on "…this mountainous penisula, full of old memories, various industries, charming landscape.” In October 1877 the author of these enthusiastic descriptions had the chance to take the trip from Cava de’ Tirreni, over dozens of peaks and after about 90km of mountain, to Punta Campanella, the extreme point of the peninsula. The Lattari High Way, as it is called today, …..to enjoy one of the most beautiful landscapes in the world and to fully appreciate the natural environment of the Amalfitan Coast, also a place of great interest. 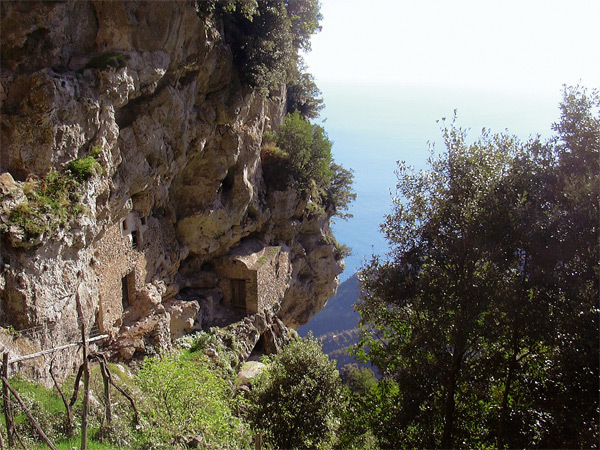 The Amalfitan Coast was taken under the protection of UNESCO in 1997 for the following reason. 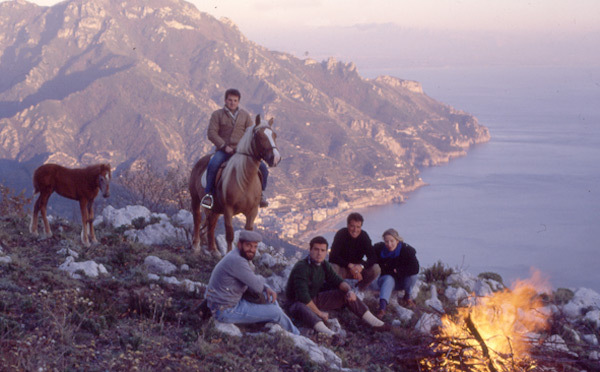 The Amalfitan Coast is an important cultural area where the way of living is handed down from generation to generation helping to keep tradition. The rich landscape, fruit of both human intervention and the benevolent hand of nature, makes it an extremely beautiful place where the mountains and the sea blend in perfect harmony over the wide open cultivated areas. 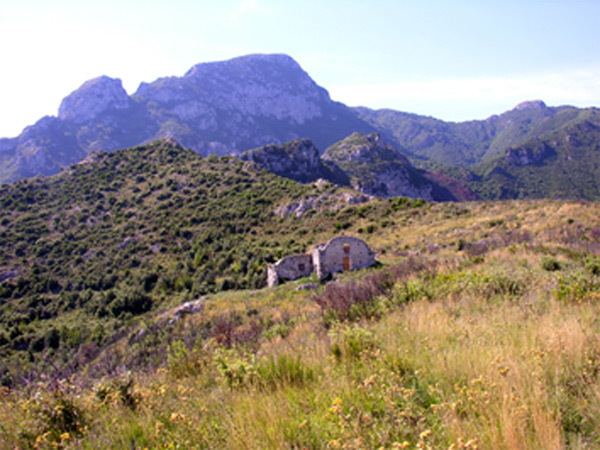 1)there are ten types of plant that need to be protected in the Lattari Mountains. 3) many species of animal on the Amalfitan Coast are under threat of extinction such as the otter, salamander and peregrine. Therefore it is necessary to get to know such a beautiful and interesting area better. 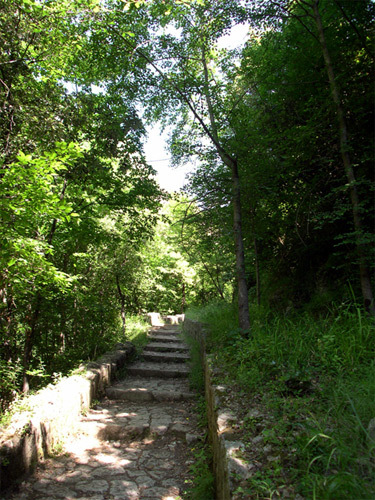 The walk starts from Via Casale Alto in Maiori and takes us to S. Vito by means of an easy route of steps and dirt path. A feature of S. Vito is its skilfully cultivated citrus orchards and vineyards and its beautiful views. After about half an hour we reach the ruins of the old farmhouse of Santa Maria and a little further on a perennial spring called "Acqua del Castagno” (Chestnut Tree Water). 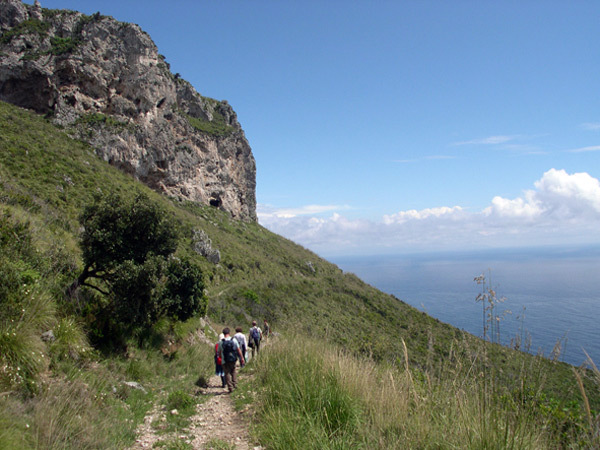 The path continues along flat stretches alternating with slightly more difficult areas and takes us, depending on the route taken, either past the so-called "Grottone” (Big Grotto) or near the “Teglia”, a huge old lime-tree, to the extensive plateau on which the church and hermitage of the Avvocata stand. This is probably the most famous mountain on the Amalfitan Coast and certainly the most popular as it can be reached by several paths. Also known as Falerzio or Falesio, the Avvocata rises up to 1014m with its peak appropriately named Mount Avvocata. The walled sanctuary, convent and caretaker’s house are further down. 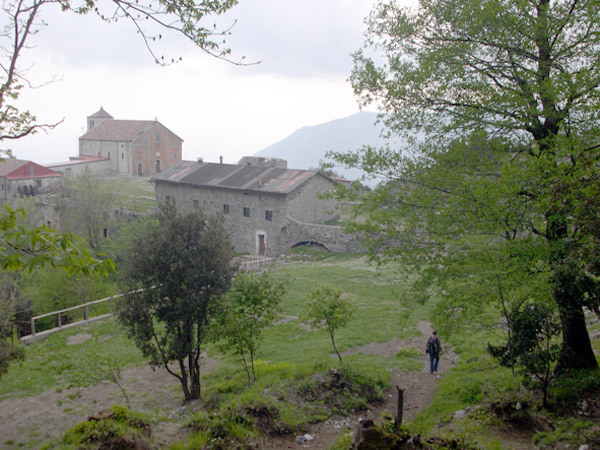 Legend has it that the Avvocata Sanctuary was founded in 1485 by a shepherd from Ponteprimario, Gabriele Cinnamo. 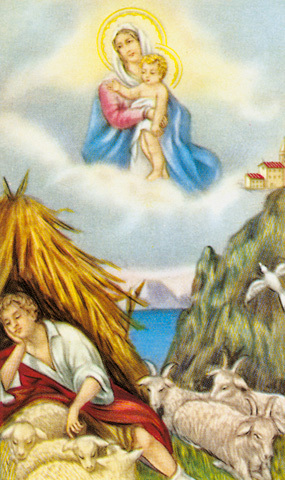 He decided to build an altar in the grotto (nowadays accessible by steps away from the plateau) in which he had a vision of the Madonna while he was sleeping. 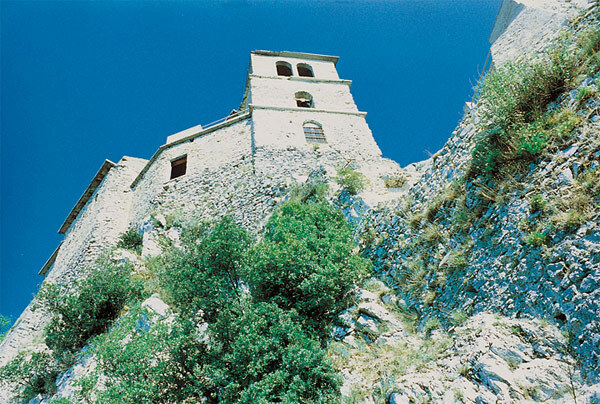 Today the sanctuary is under the authority of the Benedictine Abbey in Cava de’Tirreni, but once belonged to the Camaldolite Fathers who held it from 1687 to 1807 when it was taken away on the dissolution of the religious order. The route that takes us to the "Belvedere” is particularly delightful. 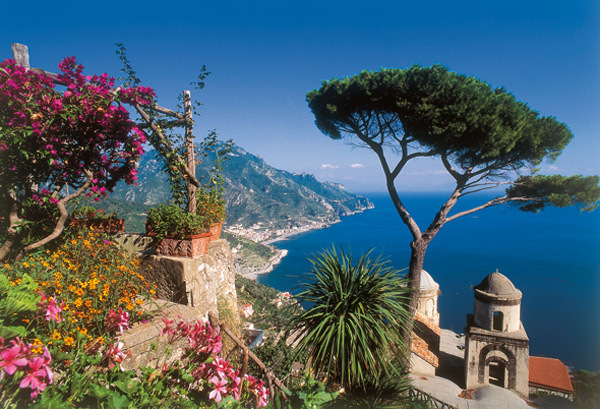 The Belvedere is a perfect balcony over the whole Bay of Salerno. There is a memorial plaque placed on the edge of a deep ravine to the mountaineer De Simone Niquesa who fell to his death on the rock below on 1st January 1921. Along the narrow path we can see some interesting things such as the Matteo Salese Grotto. Legend has it that Matteo Salese was a brigand who threw himself down to escape from the policemen who had surrounded him after a long chase. As well as the fabulous views, the Avvocata is a very interesting place for its natural environment. 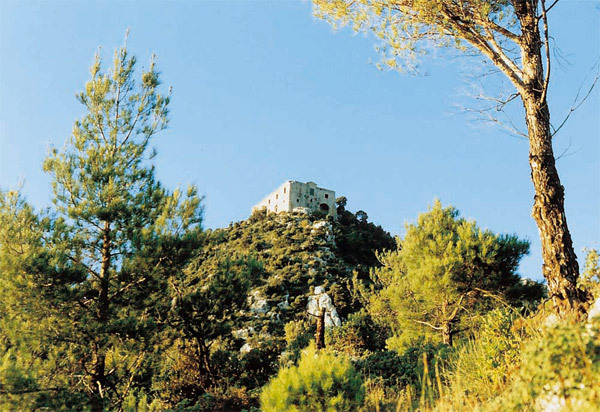 It is made up of holm-oak groves and Mediterranean scrub on the exposed areas and mixed wood in the more humid areas. There are genuine rarities such as the "Portenschlagiella ramosissima”, a small plant of the Umbellifera family listed in "The Red Book of the Plants of Italy”, or other botanic endemisms. The fauna of the Lattari Mountains makes it possible to see the rare peregrine darting by. Departure is from Casale Alto in Maiori to get to San Vito. It is not unusual to meet muscular young men (up to a few years ago it was mostly women) bent under the weight of the heavy baskets - standard weight 57kg - full of the lemons they are taking down from the surrounding gardens on these steps. From San Vito turn right to Scalese where we can quench our thirst at a cool fountain. From here the route takes an old footpath that led to Salerno and that was repaired not so long ago to lay water pipes. The path is wide enough in some stretches to allow the passage of tractors. It goes through "int’ lauro", across the valley of the abbey of S.Maria de Olearia, through the beautiful pine forest and on to Montepiano. The peaks of Capodorso. Added to the beauty of the landscape is also the rich and variegated fauna. Despite deforestation and an incredible spate of forest fires that destroyed the ilex groves and oak woods that covered the promontory, numerous spies of mammal continue to live in the undergrowth. Along with the common fox, we can find weasels, stone martens, and badgers. There are also rodents and insectivores such as the hedgehog. The highest peaks and indentations along the rocky ridge have been colonised by numerous species of bird. The promontory is an excellent landing area for the migratory streams that pass up and down the country. Flocks of cranes and other waders can be seen crossing the sky in noisy but orderly flight. Ravens, magpies, jackdaws, kestrels, buzzards and other birds of prey, the most important being the peregrine, are permanent visitors. Erosion of the rocks in Montepiano has been extensive and quite extraordinary. It was helped by deforestation and forest fires that destroyed the vegetation and speeded up the process. The combined effect of water and wind has created an almost continuous series of hollows, gorges, peaks and pinnacles, some of which have unusual or imaginative shapes such as the famous "Man on Horseback" which resembles the landscape of the Dolomites on a smaller scale. 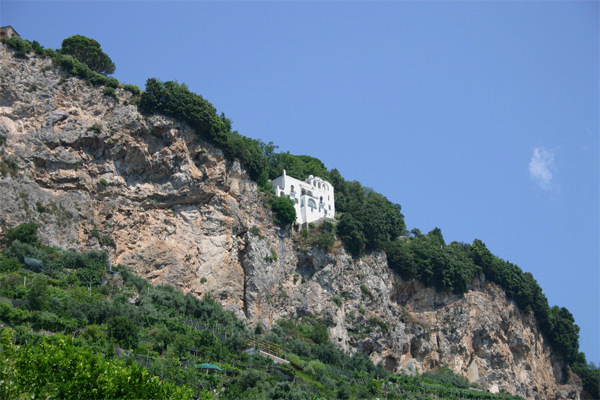 S. Nicola Convent in the district of Minori stands on a hill 486m above sea level and is in the centre of a series of valleys that cut the Lattari Mountains perpendicularly. 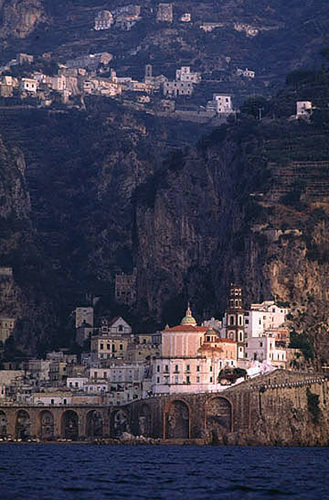 The valleys end in the towns of Maiori, Minori, Atrani and Amalfi. 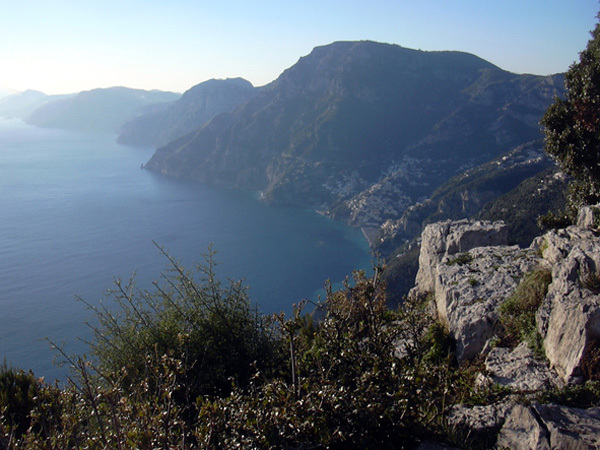 Although the observation point is not that high, the view is beautiful: to the left the jagged mountain tops of Mount St Angelo, Mount Finestra, the Demanio Mountains and Avvocata; straight ahead the Regina Minor valley and Minori; to the right the rocky spur with Ravello and Scala and the sea out to Capo di Conca. 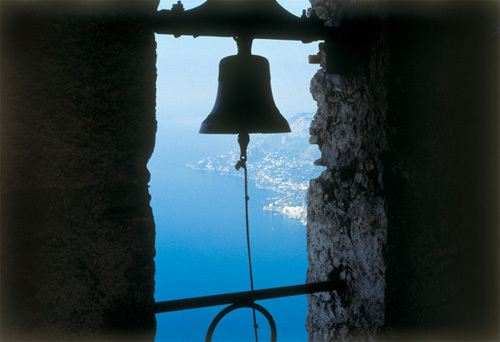 As with all religious places in the past, the convent can be reached by path from all surrounding settlements: Tramonti, Maiori, Minori and Ravello. The route proposed might take a little longer but is well worth it. The walk starts in Minori after having walked the whole length of the town to the Via delle Antiche Cartiere (Old Paper Mills Street). From here we take quite an easy route of steps and path, dirt or paved with local stone. We pass alongside the old buildings that continued to make paper until shortly after the war and were powered by the small stream until we get to Sambuco. 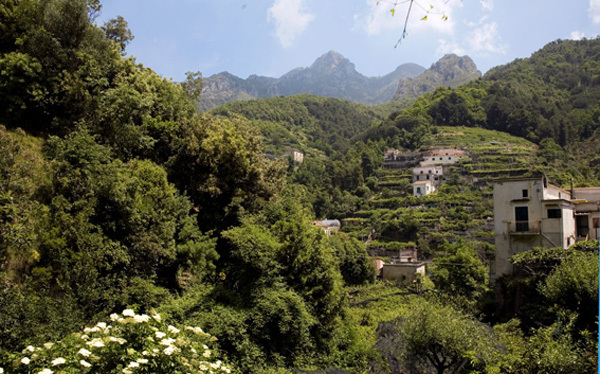 Sambuco is a very small hamlet of Ravello situated in a narrow valley lush in vegetable plots and gardens still intensely cultivated, evidence of the strong bond the inhabitants still have with the land. After Sambuco, the path climbs up through woods and scrub with species of evergreen such as holm-oak, arbutus and heather and mixed wood trees such as alder, chestnut, ash and sycamore. The wood skirts the old buildings used as sheep pens and even houses, like the so-called Mandrino, an abandoned farmhouse, and leads us to the convent. The building was built in 1628 by the Augustan friars and is in good condition. One part was recently restored by volunteers who reopened a small chapel to the public. There is a charming ceremony held in the chapel at Christmastime. Various paths take us back down from the convent. 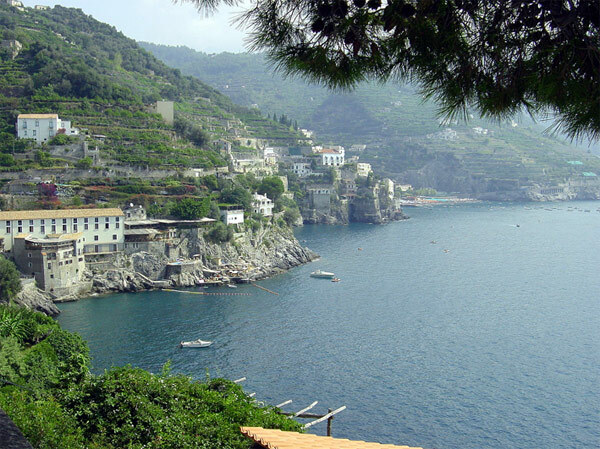 One of the most interesting, and without doubt the most traditional, is the one through Torre, a tiny settlement in a lovely location, and on to Minori. 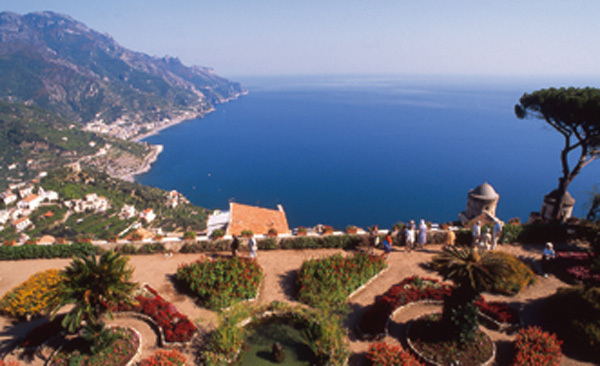 The first path of this itinerary is the same as the Itinerary n 5 (Ravello – Atrani – Amalfi) one as far as the portico. At this point turn right and go up the paved road until you reach the main square of Pontone. Here, leaving the entrance of the church of San Giovanni behind you, take the steps of Via Fritto. 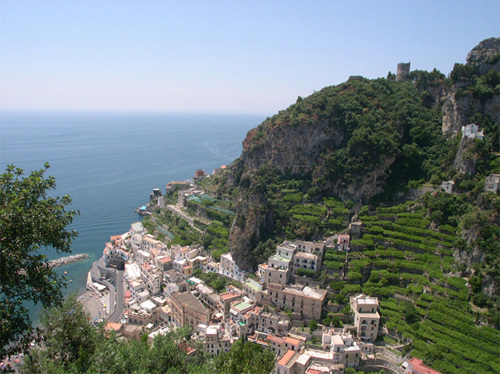 Proceed for about 10 minutes along this road and you will come to another flight of steep steps leading to Amalfi. 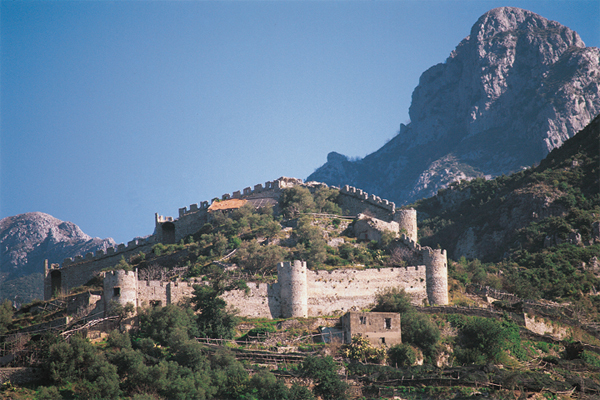 This itinerary offers the choice of two very interesting excursions. 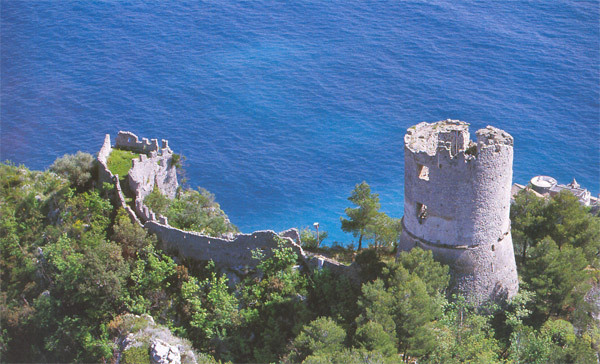 One leads to the Torre dello Ziro, which is one of the oldest watch towers on the coast, strategically situated above the town of Amalfi. The other is the Valle delle Ferriere once the industrial zone of Amalfi, now a nature reserve where a rare species of fern, known as the woodwardia radicans, can be found. To reach the Torre dello Ziro, once at the small square of Pontone take the pathway left of the paved road and follow the indications for the tower. 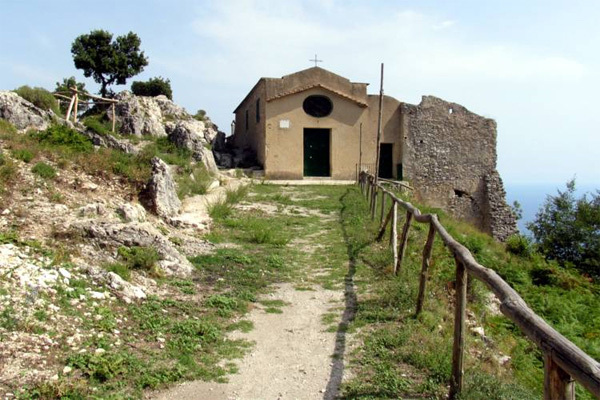 You pass the small church of Santa Maria del Carmine and begin climbing a series of steps which mark the beginning of the trail leading through the characteristic Mediterranean vegetation of the woods. Alternatively in order to visit the Valle delle Ferriere you take the pathway passing out of Pontone to the right which leads to the end of the valley (approx. 2 km). 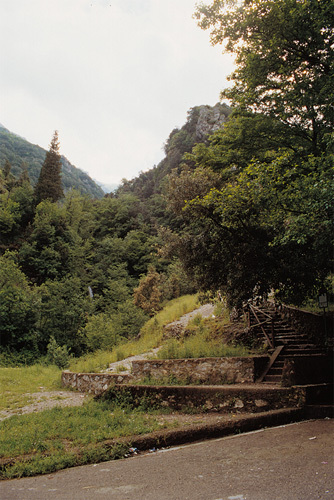 This trail leads to the river in the proximity of an antique iron works, which gave its name to the valley "Le Ferriere”. 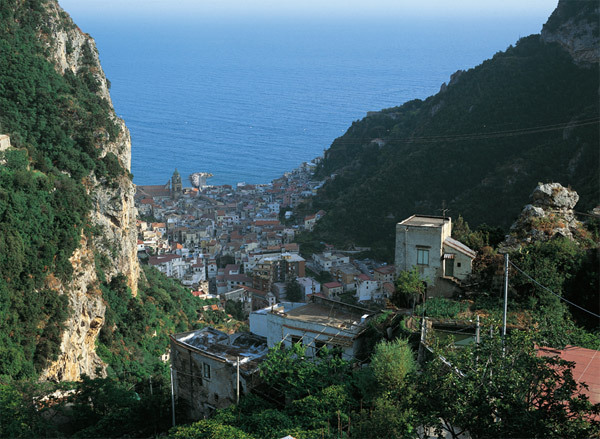 From here the walk to Amalfi passes the old paper mills where the famous hand-made paper was produced. Once in the town you can visit the "Paper Museum”. This itinerary is considered a classic, as it was the route used by the local people before the paved road was built in 1930. From Piazza Duomo take Via Roma as far as the recently restored 11th century church of Santa Maria a Gradillo (venue for the workshop of The Mediterranean Forum in 1996) turn left immediately after it and take the few steps down to the road. 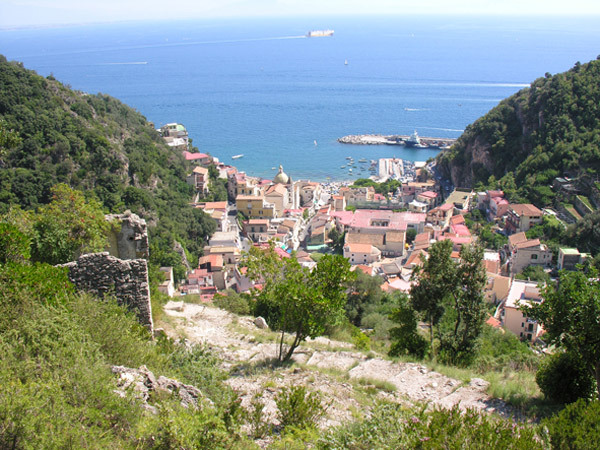 Cross the road and you will find a flight of steps with a signpost "To Amalfi”. 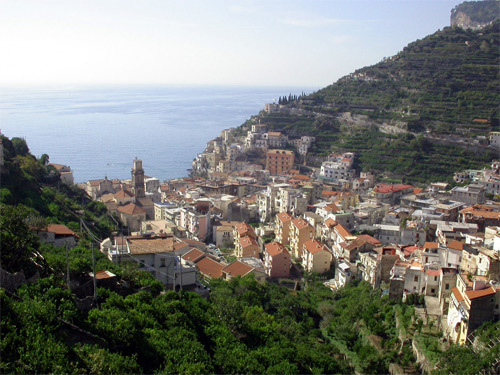 Here the descent to Atrani begins. After about 5 minutes walk you come to the paved road once again. Crossing over to the other side and proceeding along the road for about 500 meters you will see another signpost for Amalfi and a flight of steps. 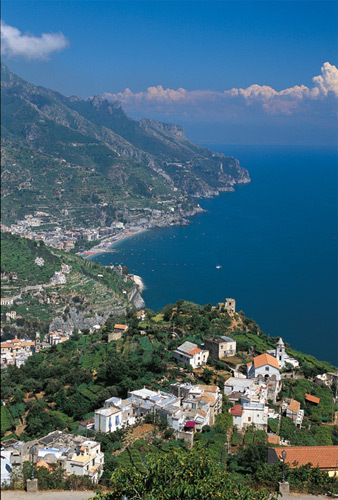 Passing through a small portico under a building, follow the paved road own to the the Ravello – Pontone crossroad. 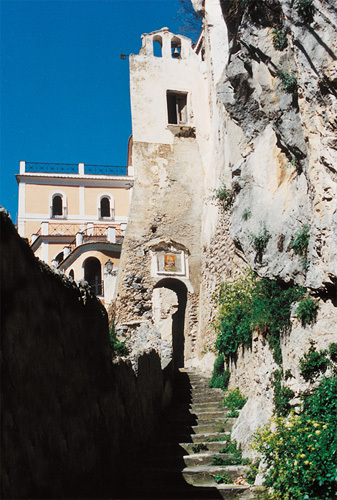 There you turn right and after the first curve you come to a small cross-way where the path to Atrani begins again. At this point you will see the sign "To Amalfi”. Continuing along this path you pass the ruins of a small village with its textile an olive oil mills. 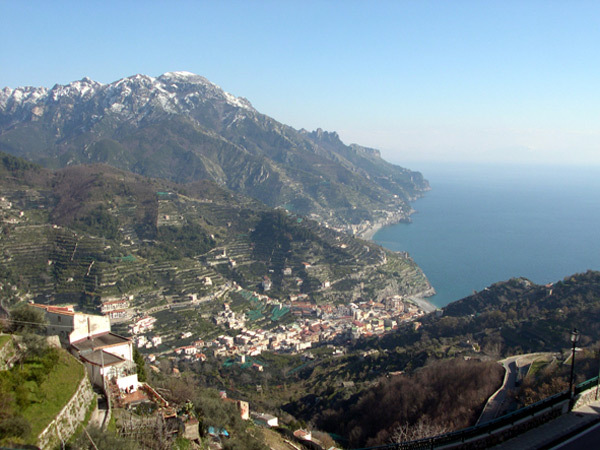 This valley, called Valle del Dragone, was in fact the industrial area of Atrani. Towards the end of the path, before entering the town of Atrani itself, you can see the town’s old cemetery, which was used until the end of the 1800s, and the adjacent Chiesa del Carmine. 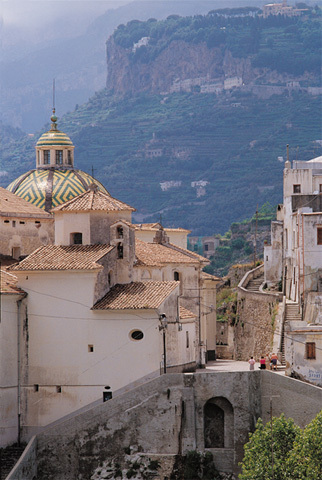 Passing the church, any path you take leads down to Piazza Umberto I in Atrani town. 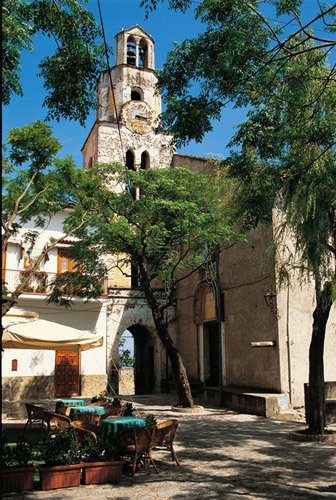 Among places of interest, in the square there is the small church of San Salvatore de Bireto, where the proclamation of the Doges took place during the time of the Maritime Republic of Amalfi. 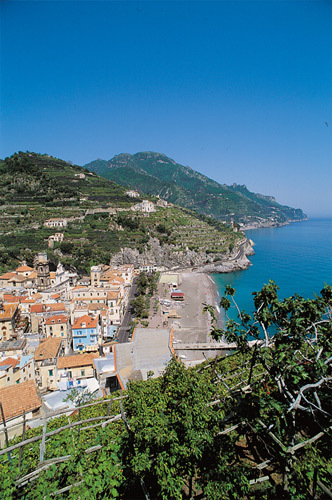 To avoid the heavy traffic of the road from Atrani to Amalfi there is an alternative route. Starting from the main square looking at the church, take either of the two stairways on your left, and keep left. This walk start along an asphalt road to Sambuco. From here we take a wide footpath through a wood arriving at st. Nicholas’s Church, once the hermitage of Augustinian monks. It stands on the top of a hill, which dominates the valleys of Minori and Maiori. The position and tranquillity of this place make it the ideal spot from which to admire the beautiful views all over the promontories of Conca and Capo d’Orso, the woods of Ravello, scala, the Tramonti valley and the Avvocata sanctuary ( 873 m). Moving along a well-signposted footpath, we pass through a wood with tall chestnut trees on to an old paved path which takes through a farming village and part of the valley past terraced gardens cultivated in lemons and grapes and takes us to the old steps and down into the centre of Minori. On the left side of Villa Rufolo entrance gate you’ll take Via Annunziata. After few metres there are some steps, carry on since you arrive in Annunziata church which is just on your right. Keep on going down since Santa Maria delle Grazie. Once there turn right for Sant’Andrea del Pendolo road and pass near Villa Barluzzi, turn left immediately after it taking the steps down. Nearly at the end of the steps before crossing over the road look up just in front of you you’ll see Porta Donica. Cross the road, turn left and walk for seven minutes. This is the way that will bring you in San Pietro alla Costa Church. Follow the steps down towards Torello. After few metres you’ll reach Torello main square and from there you have to take via Torretta Marmorata which is just on the right side of the church. Walk down but make sure you turn right for Via Vallone Casanova. Follow the pathway which passes under olive, lemon and vine trees. At roughly 10 minutes walking distance you’ll see a green gate with a written that says: Della Mura Vincenzo, take the steps down until the road. Cross the road, go on the left and walk for 150 metres, since you don’t see on your right a flight of steps. Go up the steps follows the way and cross the road again, take the steps down on your left-hand they will walk you through Castiglione area. On the way down you’ll admire a little religious frescos on the wall, there, you have to turn right following the steps. Next you’ll pass near Del Carmine Church in Atrani, if you keep your right going down you’ll be in Piazza Umberto The First in Atrani. From here you just need to cross the square, turn left passing through a small porch, carry on the road take the last flight of steps on your left passing by Zaccaria restaurant and you’ll be on the road that brings you in Amalfi. This itinerary begins from Piazza Duomo, heading towards Villa Rufolo. On the left of the entrance gates you’ll find Via Annunziata, which is the first flight of steps you want to take. On your right you will see the church of the Annunziata, one of Ravello’s major churches, which today is used as a conference hall. Once past the church you come to a paved road. Crossing this you will find the second flight of steps which leads to the area of Torello. 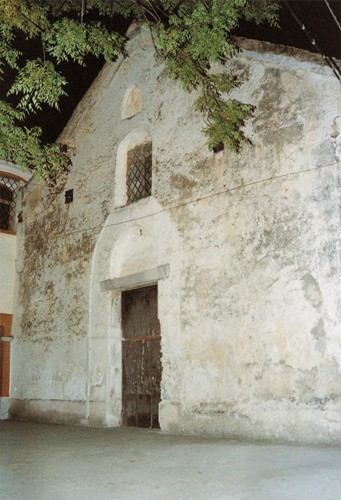 A three minute walk will take you to the church of San Pietro alla Costa, which is believed to be the first church founded in Ravello. It dates back to the 10th century but has been rebuilt many times since and ultimately restored in the 1970s. On the way down towards the square in Torello there is a choice of two routes to Minori. You can take the wide steps of Via Santa Croce to the left, which pass under a pergola of vines and lemon trees and lead past the ruins of the church of Santa Croce and the cluster of buildings of Villamena with its 10th century church of San Gennaro. Alternatively, going straight, the path leads to the square in Torello where there is the 10th century church of San Michele Archangelo. Following on down the steps towards Minori and keeping right at the crossroads with the chapel, you will leave behind you a characteristic view of Ravello. The walk starts in Scala, a hamlet of Campidoglio, and after a fairly difficult climb ends in S. Maria dei Monti. The walk could also start from S. Caterina or the Frezzi Valley. The chosen route is the most direct to get to the 1,040m. 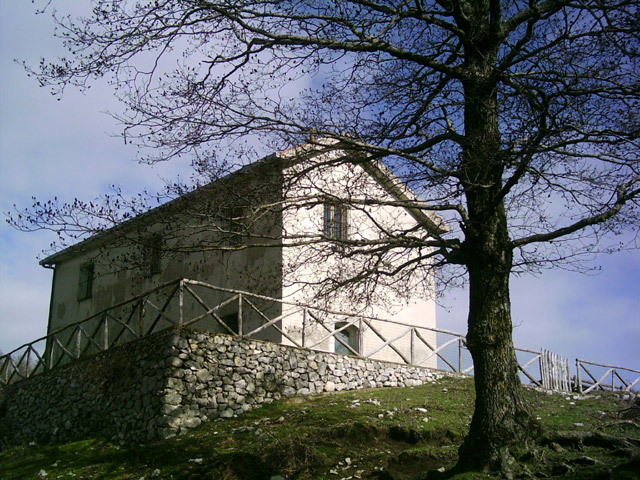 Near the statuette of the Madonna there are two buildings, one is a water tank for the flocks and the other is perfectly restored house available on request from the Town Hall of Scala for travellers wishing to spend some time in contact with nature. 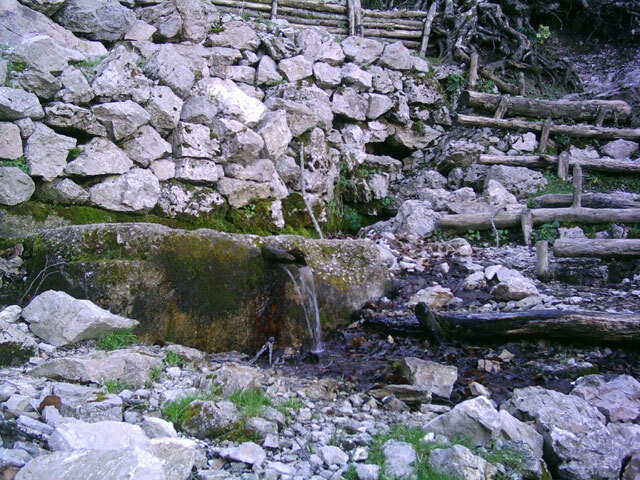 About half an hour’s walk away is the "Vrecciale” spring with its deliciously freezing water. It is worth remembering that before the invention and diffusion of refrigerators these mountains provided the ice, or better the snow, for the ice-cream and sorbets served to the 18th century Neapolitan high society. The snow accumulated in the wide hollow (see photo) and was preserved by placing it into special snow pits (one of which can be seen near the above mentioned house) and covered with a layer of ferns and soil. This procedure meant that the snow could be preserved until the summer when it was baled in ferns and taken down the valley to be sent to Naples or other cities in Campania. 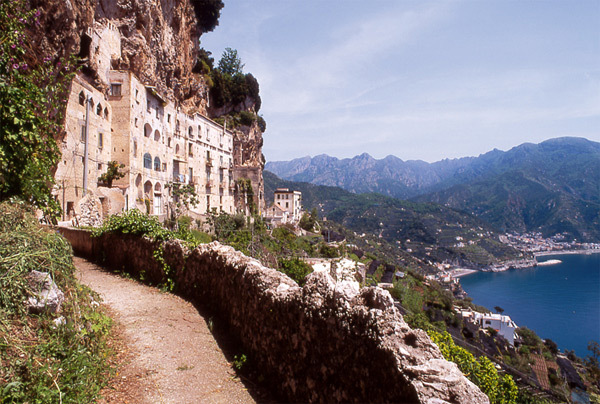 This is without a doubt the most spectacular walk on the Amalfitan Coast. 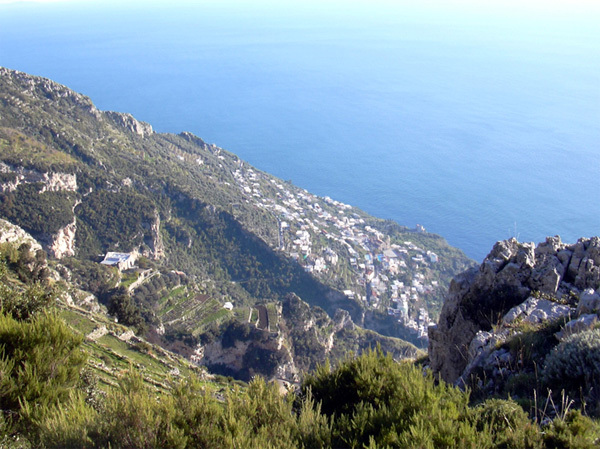 Called the Path of the Gods for its beautiful views, it is the mountain way that goes from Bomerano, a hamlet of Agerola in the province of Naples to Nocelle, a hamlet of Positano. Departure can be either from Bomerano or Nocelle taking care to have the sun behind you as you go to enjoy the view of the coast below. The walk starts from Piazza Capasso (Capasso Square) in Bomerano 600m above sea level. From here go to the sports ground and turn right after about 150m and along the road. This takes us to the “Bicotto” grotto, a large natural cave with the well-preserved ruins of old buildings used for keeping animals and goods. At a landmark stone with the inscription "C.A.I.”, take one of the narrow paths that lead to Nocelle. The environment is typical of the Amalfitan Coast: Mediterranean scrub, carob trees and oleasters, an explosion of colour and fragrance in spring, with broad-leaved woods in the shadier areas. Ravens, kestrels and buzzards keep you company along the way and the presence of the peregrine cannot be ruled out. 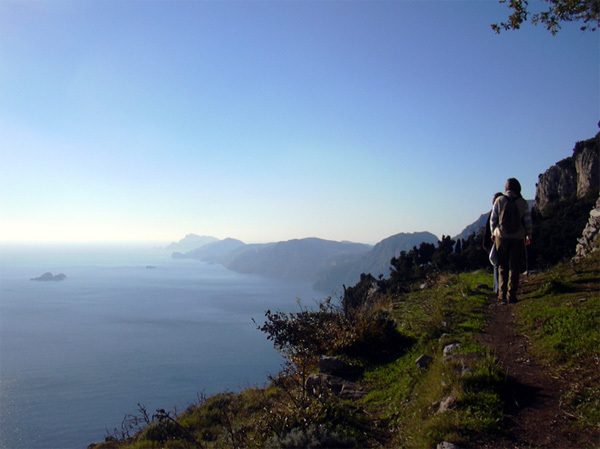 The path skims deep ravines along the way with abandoned terracing and houses that tell the story of the difficult relationship with the land, eased only by the mild climate and the incredible beauty of the coast with the LiGalli islands and Capri in the background. Some of the buildings still have the devices (clay channelling, wells for the collection of rainwater) used by our ancestors to face the natural difficulties and the absence of industrial products. Some of these still have roofs with the wooden tiles used to cover houses in the area up to recent years. From Nocelle we can continue on to Montepertuso, another hamlet of Positano by bus or using the long but beautiful ramp of steps (about 1,500) that leads from the church to the main road. By using the steps we can have some idea of how athletic our ancestresses had to be just to get to their own houses. 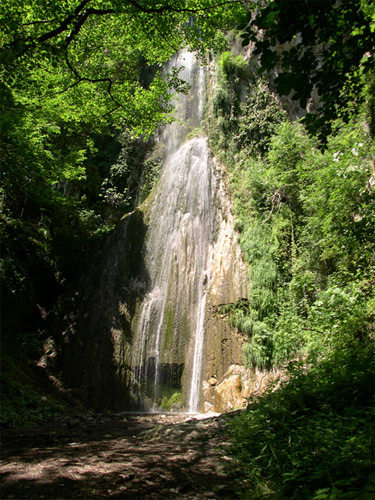 The Demanio Valley has two separate small streams, "Acqua Calda” (hot water) and “Rio Demanio”, which flow through two incisions that meet at the so-called Demanio spring and then flow into the Reginna River after a few hundred metres. The wide valley is surrounded by hazardous peaks through which the mountain passes for Cava de’ Tirreni, on the opposite slope, were once used. The environment is very humid and this encourages the growth of the mixed wood trees such as alder, chestnut, flowering ash and sycamore. Holm-oak, arbutus, heather and mastic tree occupy the sunnier areas. As the similar Ferriere Valley, the Demanio Valley boasts rare ferns such as the “Pteris Cretica” and the “Pteris Vittata” and the small carnivorous plant “Pinguicola Hirtiflora”. It is very likely that there were some specimens of “Woodwardia radicans” as reported by some scholars, who also noted its presence in the “Vallata di Majori” (Nevile-Reid 1868. As well as the small mammals usually present on the Amalfitan Coast, there are also foxes, badgers, beech martens and even otters, objects of a recent study in the Ferriere Valley as well as the Demanio Valley. There are numerous species of bird, the most important being birds of prey (buzzard, kestrel and sparrow hawk) and nocturnal birds (owl, tawny owl and maybe barn owl). For some time, because of the repopulation for hunting purposes, it is possible to meet wild boar, whose presence has created some problems for the delicate ecosystem of the area. The proposed route starts at the spring at the end of the road, goes up to the left of Paternoster hill (a spur that separates the two deep valleys) and goes along the Rio Demanio to a mountain hut with basic equipment. 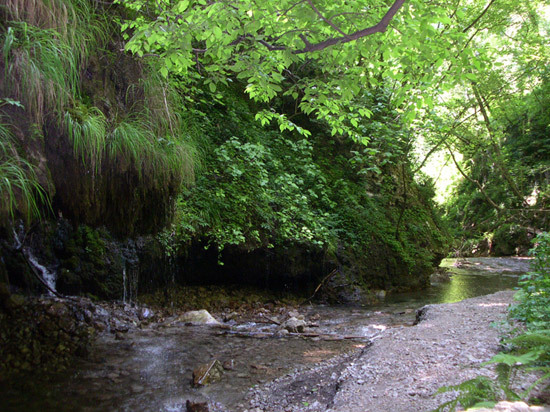 Wade through the small stream nearby and turn right into the lush wood and along a well-marked path to the “Ginnico Route”, made by the local Mountain Community. From here it is easy, follow the clear directions and after about an hour’s walk you come to another mountain hut called “del Pastore”(the Shepherd’s). Go down into the thick “Ponticchio” wood and to the spring for a cool drink of water. Continue on close to the imposing chestnut trees, past the “Pietre Bianche” (White stones) and S. Angelo and on to the ruins of Santa Maria overlooked by the millstones of Mount Avvocata. From here it is easy to get to Maiori down below. 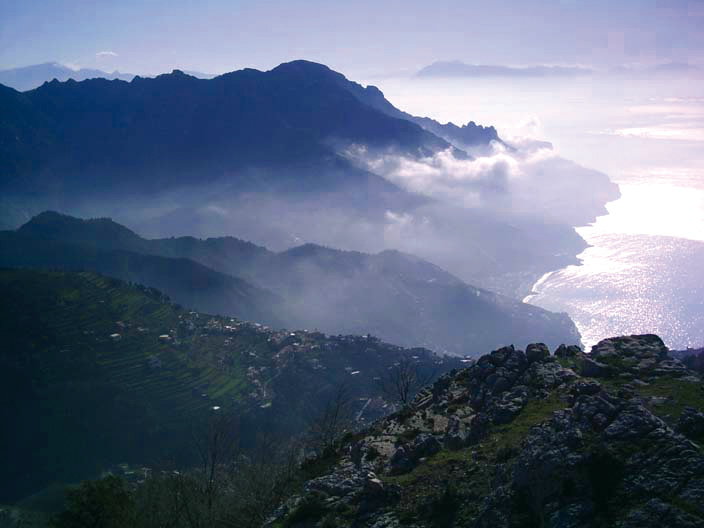 The Ferriere Valley, the most well-known and interesting valley on the Amalfitan Coast, is behind Amalfi. The River Canneto or Chiarito flows through the valley and it resembles a long canyon with high walls of rock overhanging. The lower part of the valley, part of Amalfi, is called Valle dei Mulini (the valley of the mills) because there were many mills powered by the river up to around 1000 AD. The mills were later replaced by paper mills. There were 13 in the 18th century, some of which continued to work up until after WW2. The well-preserved buildings give the opportunity to follow the production process of the various types of paper, the most famous being "bambagina”. The Ferriere Valley (the ironworks valley) gets its name from a factory that continued to produce iron until the 19th century. The iron was produced in the Catalan style using water wheels and hydroaeolian pumps . 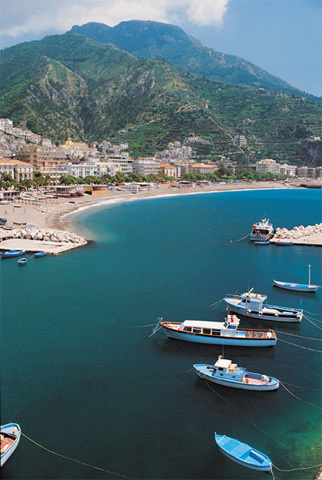 The minerals came from Elba, Ischia (black sand) and other coastal areas in Campania. Thin bars of iron were then made into nails in nearby Pogerola or used in local forges. We leave the ruins of the ironworks and continue along the bank of the Canneto, one minute fast and furious with waterfalls and small rapids, the next deep and clear where we can catch the silvery glimpse of trout. Permission is needed to go through the metal fence and on to the interior part of the valley. The particular microclimate with its absence of ..temperature changes in all seasons, constant humidity and abundance of water has meant the survival of vegetation from the Tertiary period. 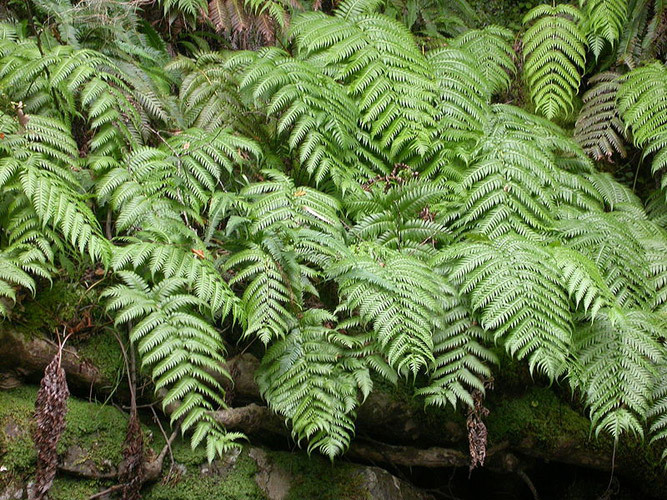 The "Woodwardia radicans”, a large, deep green fern, is the most important species considering its rarity in Europe. Other ferns such as the “Pteris Cretica” and the “Pteris Vittata” and the small carnivorous plant "Pinguicola Hirtiflora” are of great interest. All of these are immersed in a unique vegetation that also benefits from the favourable climatic conditions of the valley. The fauna is similarly rich with the presence of the otter, one of the rarest and most threatened mammals of our country. We conclude our walk with a visit to the spectacular waterfall. The valley, 455 hectares, has been a protected area and property of the state since 1972.